After a year of working with writer Susannah Finzi on adapting her short film into a complex, brilliant two act stage play, Benet directed a staged reading of extended extracts from the play at the Prince of Wales Theatre's Delfont Room for an invited audience. The play met with great acclaim. 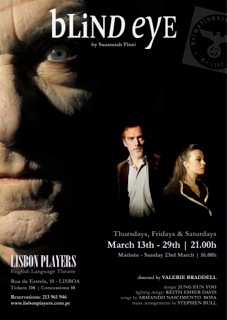 Blind Eye received its world premiere in March 2014 in Lisbon, Portugal, where it ran for three weeks. Benet will be directing and co-producing the London premiere in September at Theatre 503.